For many centuries there has been a tradition of seasonal movement to high altitudes in Asia, Africa and Europe. 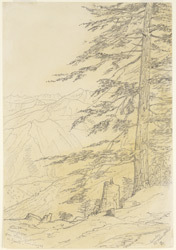 In the 19th century in India, Himalayan hill stations became the favoured summer retreats of the British, providing relief from the heat and disease of the plains. The Himalayan resorts were at an average altitude of six thousand feet and offered magnificent views of range after range of jagged snowy peaks. This region became a venue for leisure activities and the towns in the hills rapidly acquired the character of English villages.